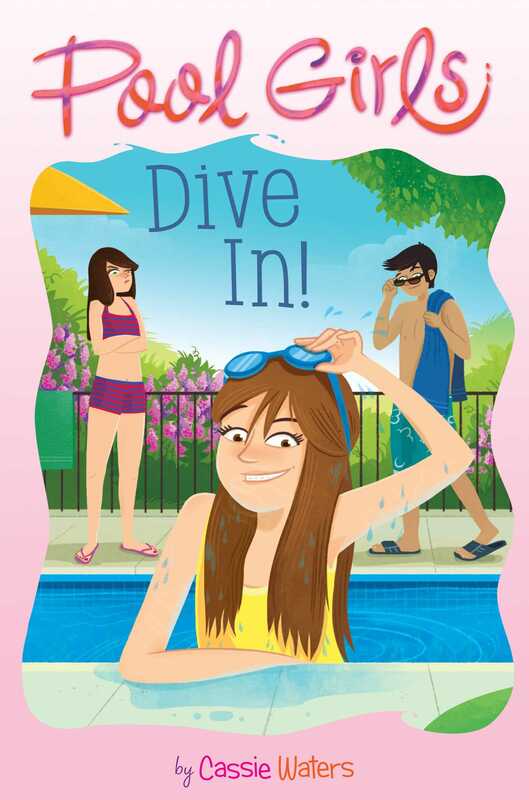 Put on your sunscreen, grab a towel, and get ready to meet the Pool Girls in this all-new tween series set to make a splash! Memorial Day weekend is finally here, and Grace Davis is having the best time at the Riverside Swim Club. (RSC to those in the know.) There are adorable swim team boys to check out, the warm sun to soak up, and her troubled friendship with a certain former best friend (ahem, Christina Cooper) to forget about. Grace can’t wait to spend the entire summer lounging poolside. There’s just one little problem—she doesn’t actually belong to RSC. Her parents say she can join if she earns the money for membership herself. With two weeks left in the school year before the summer really heats up, will Grace be able to make enough money, or will her summer be totally sunk? Growing up, Cassie Waters spent every waking moment of every summer at her swim club (which was conveniently located at the end of her street). These days, Cassie lives in the suburbs of New Jersey, writing and editing books, hanging out with friends, and having lots of fun. Over the years, Cassie has written dozens of books, but the Pool Girls series is nearest and dearest to her heart. She doesn’t make it to the pool nearly as often as she would like these days, but she is still very good friends with the girls she used to hang out with at her swim club. Book Cover Image (jpg): Dive In!